A form of business ownership that allows corporations with 35 or less qulaified shareholders the option to be taxed as a partnership. This would allow small corporations to distribute its income directly to shareholders and avoid corporate income tax and still maintain the other advantages of corporate ownership. An arrangement, that may be funded through life insurance, whereby the salary of an employee is continued following his or her death by payments to the beneficiary for a specified time period. A type of dental insurance that pays the physician a fixed fee for each service provided based upon a schedule of fees prepared by the insurance company. See Securities and Exchange Commission. A mortgage loan that is secured by a real estate property already having a first mortgage. In the event of default, the holder of the second mortgage is subordinate to the first. The beneficiary named to receive the proceeds of the policy in the event that the primary beneficiary does not survive the insured. A type of irrevocable trust used to provide a nonqualified deferred compensation plan for key employees without having to provide similar benefits to other employees. Funds placed in the trust are protected against the claims of the sponsoring company's creditors. The IRS deemed that the funds, while still not in the possession of the employee are constructively received by the employee and are taxable as income to the employee and deductible by the company. Contrasted with a rabbi trust. A specially designed group whole life policy that minimizes an employee's income tax exposure on the value of life insurance coverage provided by an employer. The plan apportions the premium to both the term insurance and cash value segments of the policy. An investment instrument that denotes partial ownership of a corporation, as with a stock, a creditor relationship as with a bond, or a potential right of ownership as with an option. A governmental organization established to regulate the U.S. financial markets. Also see SEC Home Page. A form of investment risk that the investor may have selected the wrong company that is part of an industry that is expected to out perform. A injury that was inflicted by the insured to their own body. A fund established by a life insurance company and used for the investments of pension funds and variable life contracts. This asset account is separate from the company's general account and allows for more options in the selection of investments. A type of bond usually issued by a municipality with varying maturity dates. The maturity dates are scheduled to mature at regular intervals until all bonds in the series are retired. Investment Company/Variable Contract Products Limited Representative License administered by the NASD. This exam allows the registered representative to sell mutual funds, and with an additional state insurance license to sell variable annuities and variable life insurance. General Securities Registered Representative License administered by the NASD. This license allows the registered representative to sell all types of securities products with the exception of commodity futures (requires a series 3 license). This is the most comprehensive of the NASD license requiring a six-hour, 250-question examination. Direct Participation Programs Representative licensee administered by the NASD. This license allows the representative to solicit the purchase or sale of direct participation programs such as limited partnerships in oil and gas, real estate or S-Corporation offerings. Uniform Securities Agent State Law license administered by the NASD. This exam is required of registered representative who solicit the purchase or sale of securities within a state. The exam may be required in addition to other exams. A non-marketable U.S. government bond that is issued at a 50% discount from par. These interest bearing bonds were first issued in 1980 and range from $50 to $10,000 in denomination. Interest can be earned for up to 30 years and interest is exempt from state and local taxes, with no Federal tax until redemption. A non-marketable U.S. government bond that is issued in denominations ranging from $500 to $10,000 and can earn interest for up to 20 years. These bonds are only available through the exchange of Series E or EE bonds of at least $500. A situation whereby an investor borrows stock certificates for delivery at the time of the short sale. Should the seller be able to sell the stock at a price lower than the borrowed cost, a profit is made. Conversely if the sale price is above the borrowed value, a loss is incurred. The method of computing interest on a principle sum where the interest rate is applied only to the original principal amount. Also see compound interest and Simple vs. Compound Interest. A type of qualified pension plan for small businesses (25 or fewer employees) that is funded by an employer or a self-employed individual. The plan is immediately vested with maximum contribution of 15% of compensation or $30,000 whichever is the lesser. Employers qualify for a tax deduction for their own contributions as well as for contributions they make to employees' accounts. An agency of the US Government that was created in 1953 to help small businesses obtain funding from banks and other lending institutions. Link to the Small Business Administration Home Page. An underwriting classification used by life and health insurance companies that reflect the smoking status of an applicant and the expected higher mortality and morbidity experience. This increased risk is reflected in considerably higher premiums charged the applicant. A disability income policy rider or option that reduces the benefits received under the policy by the benefits that are received from Social Security disability. A professional organization of individuals whose members are specially trained in the field of actuarial mathematics. A series of actuarial examinations must be passed before the designation of Fellow of the Society of Actuaries (FSA) or Associate of the Society of Actuaries (ASA) can be obtained. Also see The Society of Actuaries Home Page. A form of business ownership that is unincorporated and owned by a single individual. The sole proprietor is entitled to all of the profits of the business and responsible for its liabilities. A form of business insurance that allows an employer to help employees obtain insurance protection at a cost that is less than if purchased personally by employees with after tax dollars. A rider on a life insurance policy that provides additional protection on the life of the spouse of the insured on the same policy. An economic condition under which slow economic growth, high unemployment (stagnation) and rising prices (inflation) exist at the same time. A relatively new stock market index (established in 1981) that measures the movement of 400 stocks in the mid-capitalization sector of the domestic stock market. Many investment professionals use this index as a benchmark for measuring stock portfolio performance. The oldest of the stock indexes. The S&P 500 is a market-weighted index that measures the movement of 500 widely held common stocks and is used by many investment professionals as a benchmark for measuring stock portfolio performance. The statistical measurement used to monitor the degree to which an individual value in a probability distribution varies from the mean of the distribution. Accounting principles established by the National Association of Insurance Commissioners. All insurance companies file, with each state they are authorized to do business in, an Annual Statement or Convention Blank. This Convention Blank reflects the financial condition of the insurance company based upon statutory accounting principles. Also see generally accepted accounting principles. The payment of a corporate dividend through issuance of additional shares of stock as opposed to cash. This allows a company to conserve its' cash position for other corporate uses, and is not taxable from the stockholder's standpoint until the shares are sold. An insurance company that is owned by its stockholders. The shareholders may be a small group of investors, another corporation or a large group of investors where the shares of the company are publicly traded on a stock exchange. Also see mutual insurance company and demutualization. The increase in the number of outstanding shares of a corporation's stock without affecting the aggregate market value. This transaction requires stockholder approval to effect a change in the par value of the stock or more commonly an increase in the number of authorized shares. A form of settlement under a liability policy whereby periodic payments are made to an injured party for a specified number of years or for one's lifetime. Reimbursement usually includes medical, legal and rehabilitation expenses plus long-term payments for loss of income. The process where the insurance company takes the place of an insured to collect from a third party who is responsible for a loss to an insured for which a claim has been paid by the insurance company. A section contained in a property and liability policy that permits the insurer to pursue legal action against a third party responsible for a loss to an insured for which a claim has been paid or settled. A situation where a retired individual outlives his or her income and financial resources. A form of settlement under a life insurance or annuity contract whereby funds are made payable or used by the beneficiary to purchase a new insurance policy. This form of liability represents money held for an insured that will eventually be paid out. A part of Medicare that provides physician services to enrolled persons over 65 years old and their dependents. Enrollees are responsible for 50% of the costs, with the U.S. Government paying the balance. The listing in a health insurance policy of the maximum benefit that is payable for a specified surgical procedure. On a statutory accounting basis, the assets minus liabilities of the insurance company. A fee that is deducted from the account value of a life insurance policy or annuity contract when the policy or contract is surrendered. These charges generally decrease over time. An annuity that is payable to the annuitant for the period during which he survives the insured. Also called Joint Life Insurance. This form of life insurance pays a benefit after both of the insureds have died. Survivorship policies are often used in estate planning in order to fund estate taxes after the death of a husband and wife (see marital deduction). 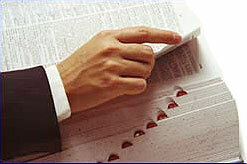 It can also be used in business insurance to fund a buy-sell agreement.